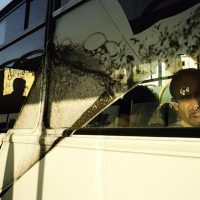 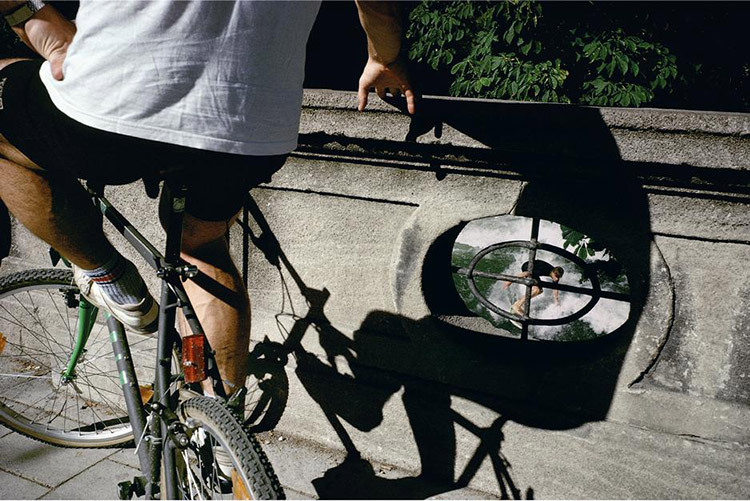 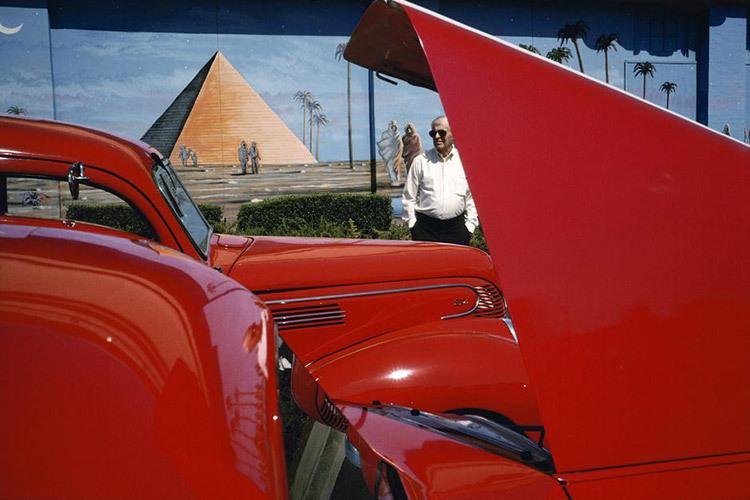 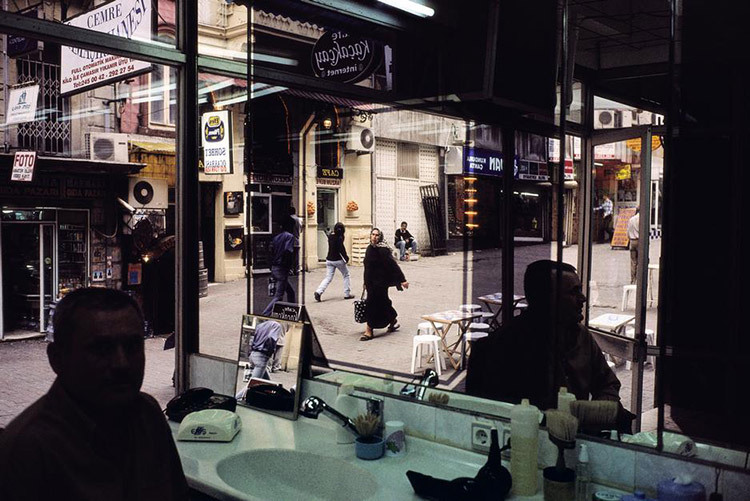 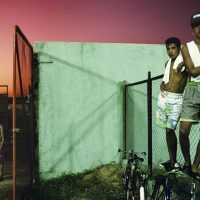 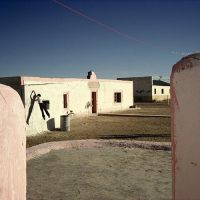 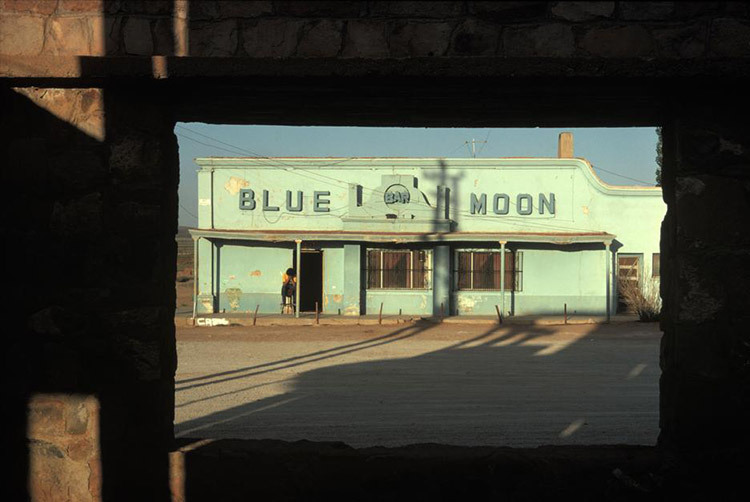 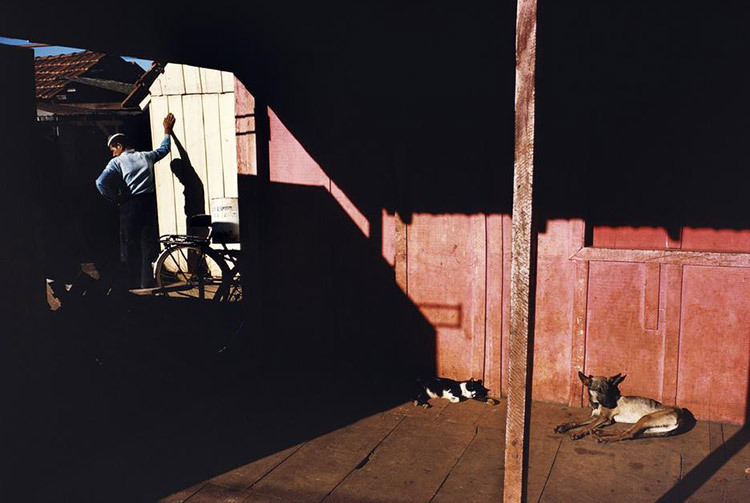 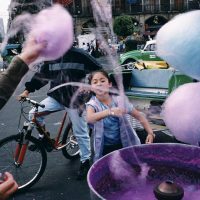 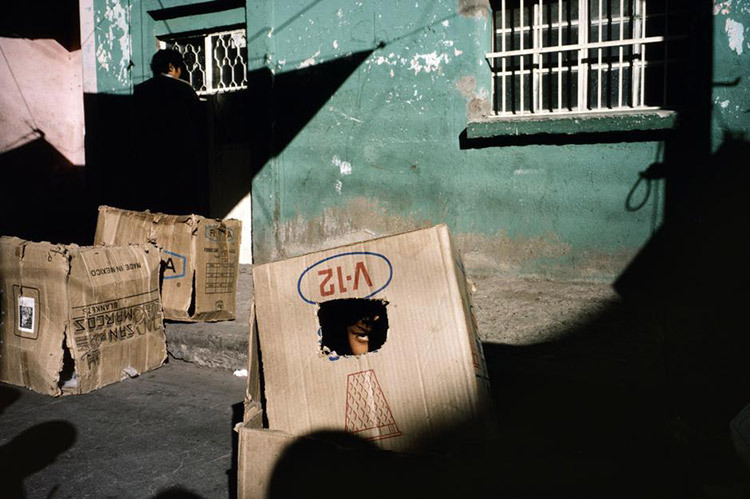 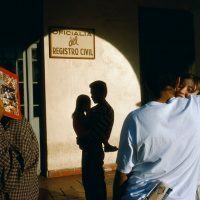 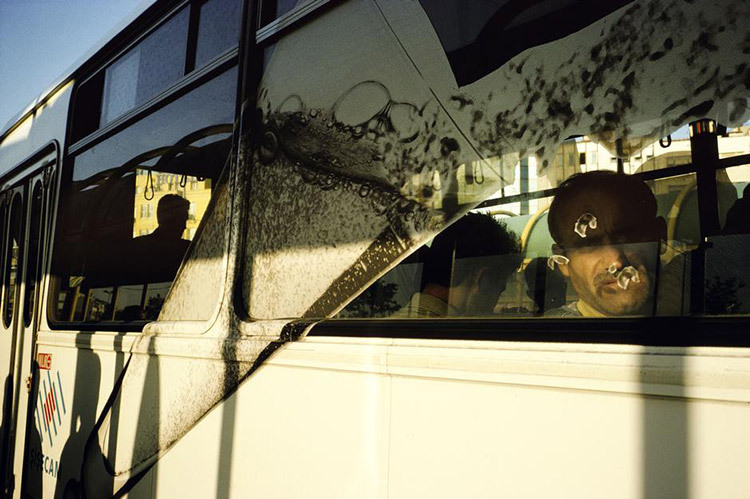 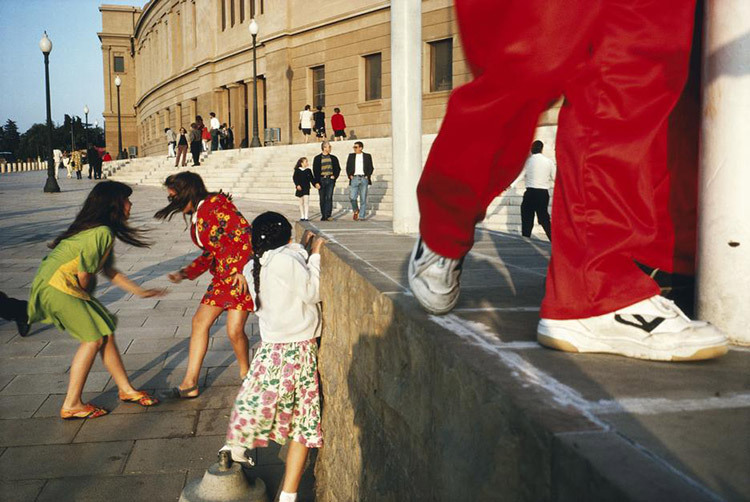 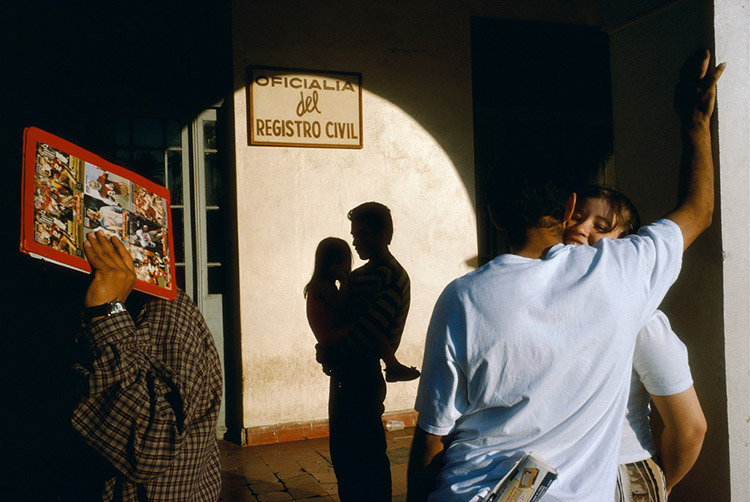 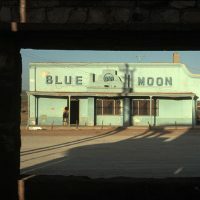 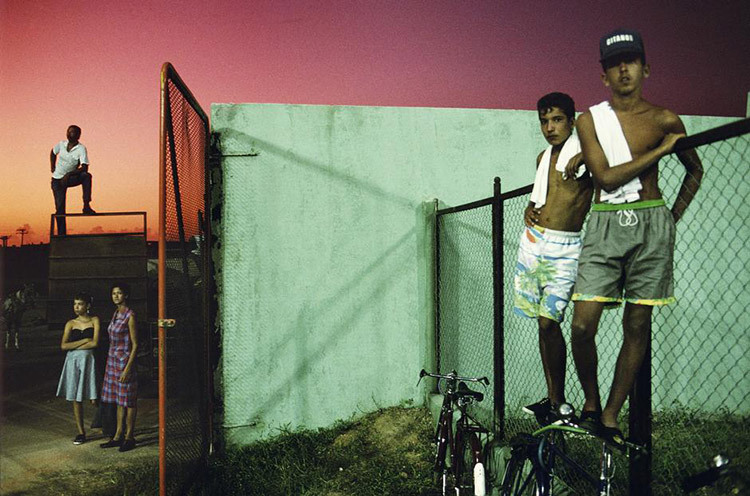 Alex Webb was born in San Francisco in 1952. 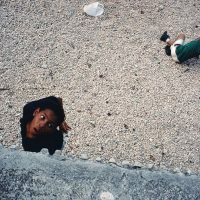 He has been interested in photography ever since his youth. 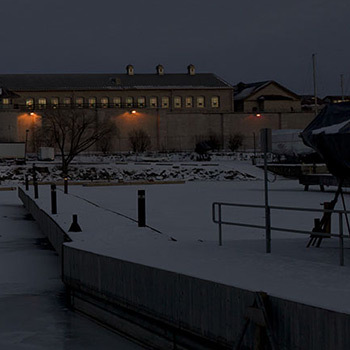 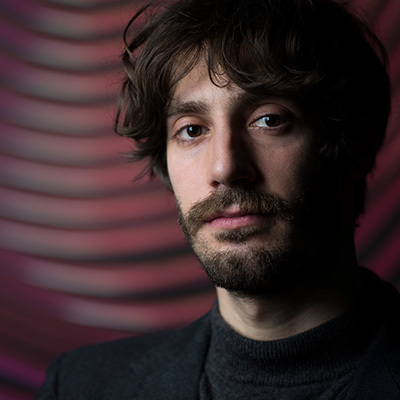 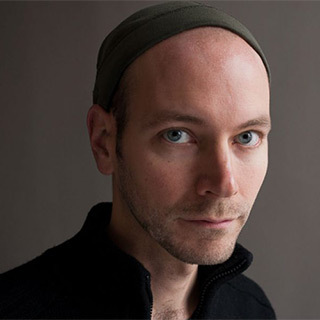 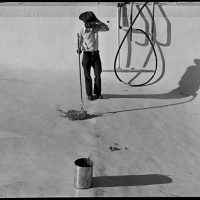 He studied literature and history at Harvard as well as photography at the Apeiron Photo Workshop in Millerton, New York. 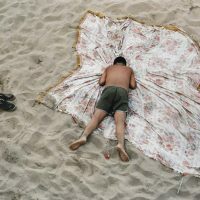 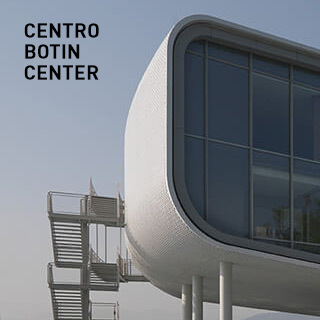 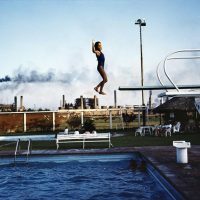 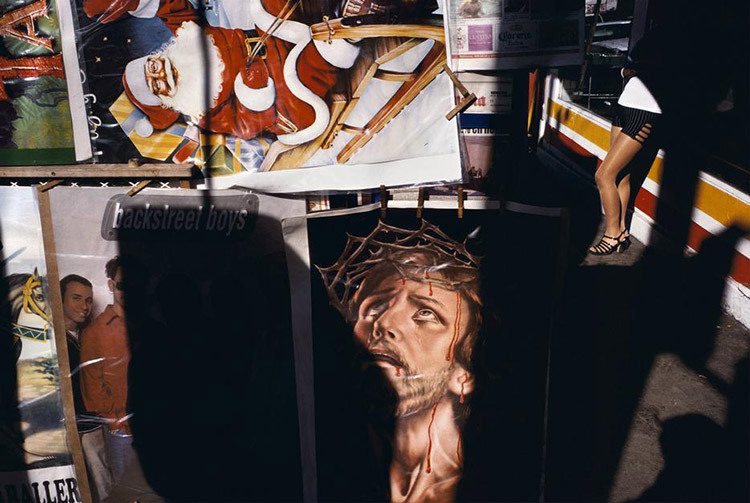 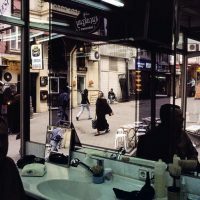 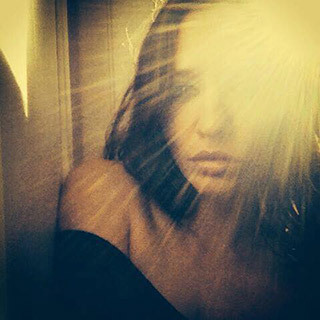 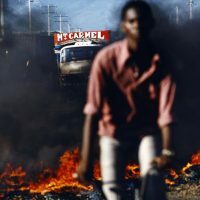 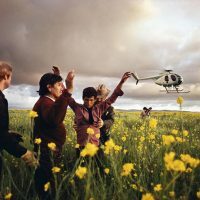 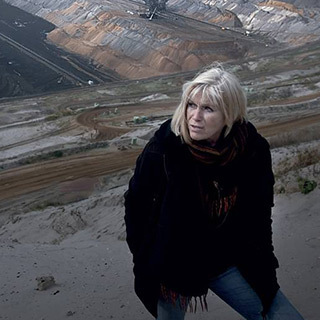 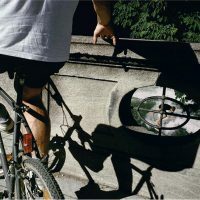 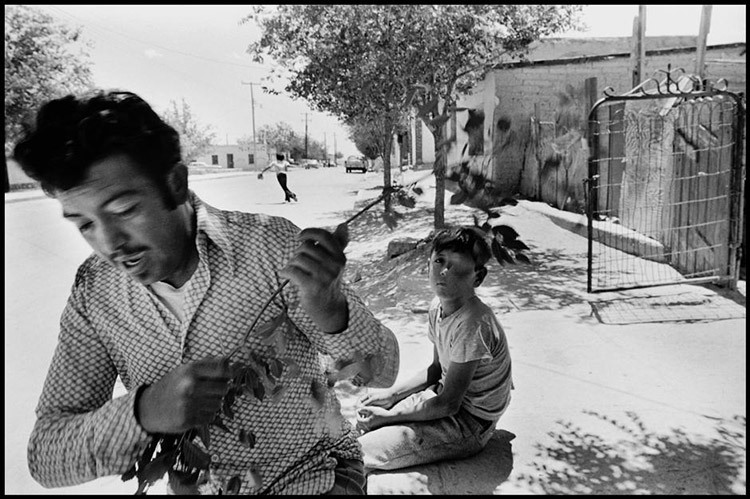 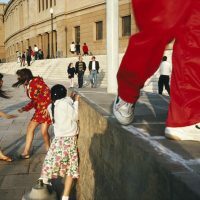 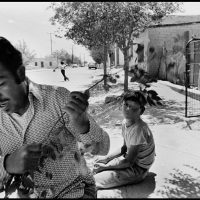 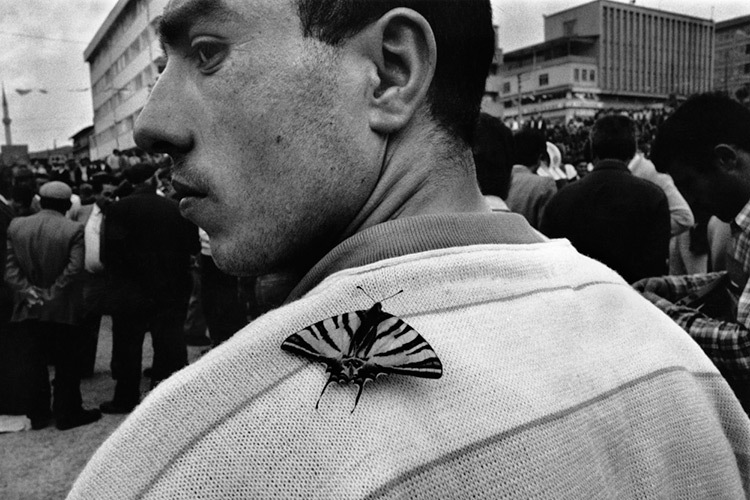 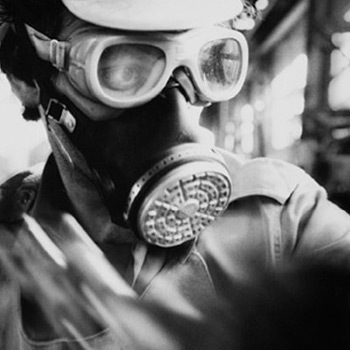 Since 1979 he has been a member of the famous international photographic cooperative, Magnum Photos. 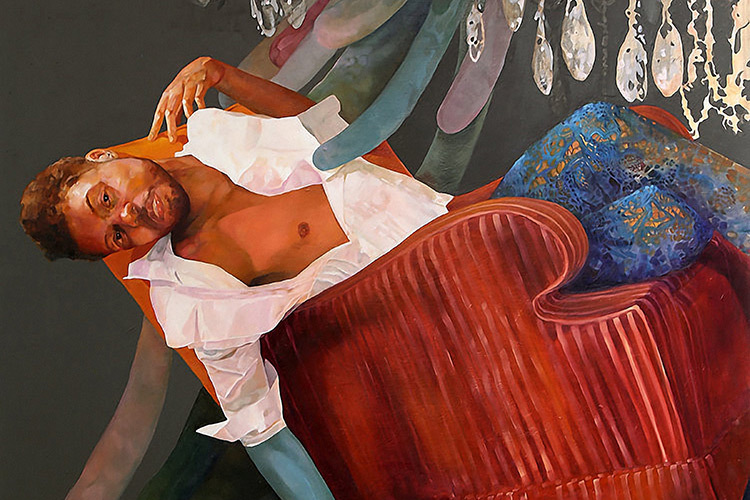 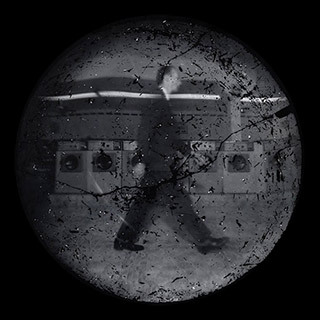 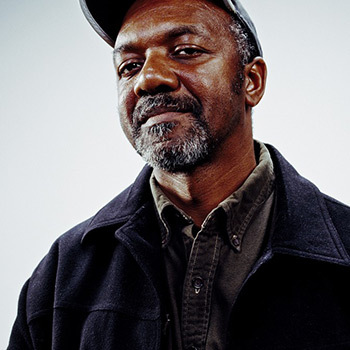 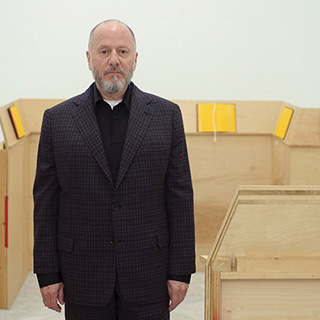 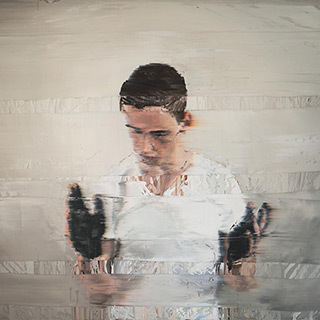 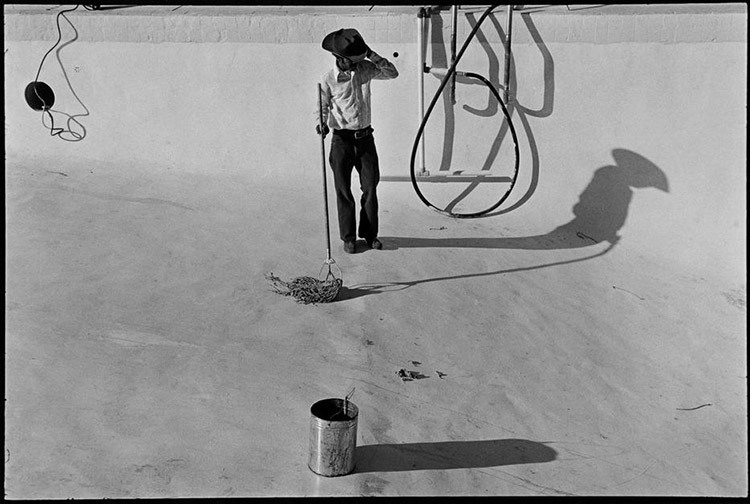 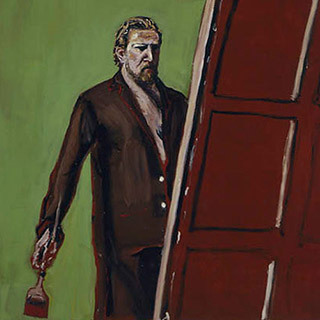 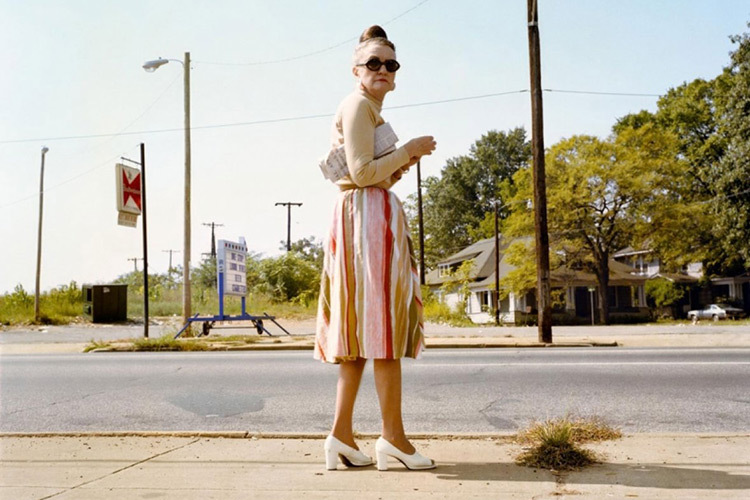 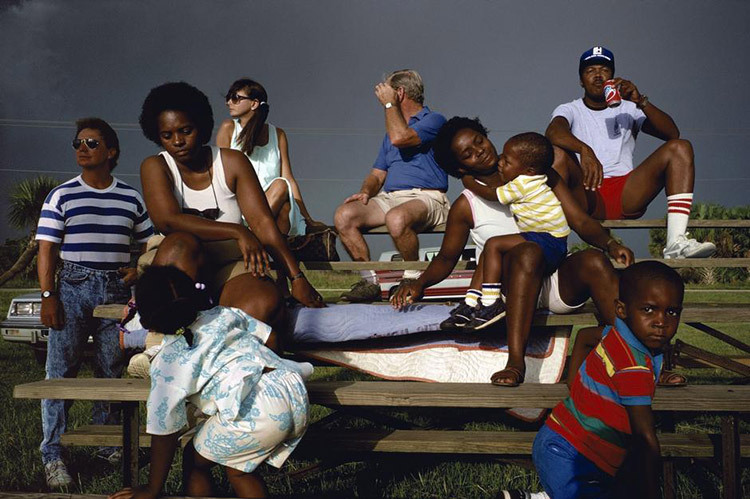 Originally he worked in black and white, portraying the social landscape of America. 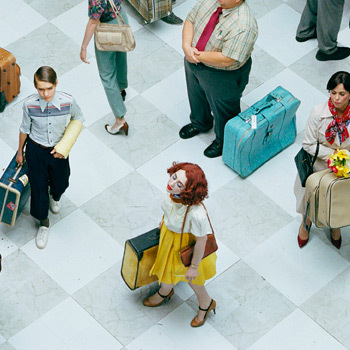 His perspective was witty and ironic, but it lacked the emotional load. 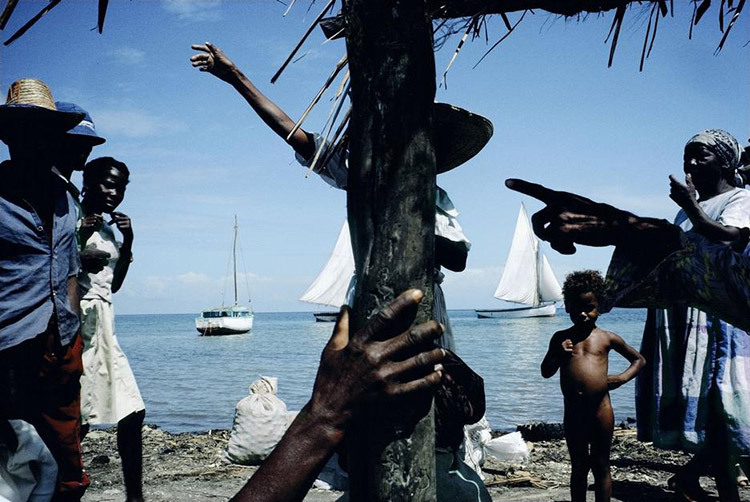 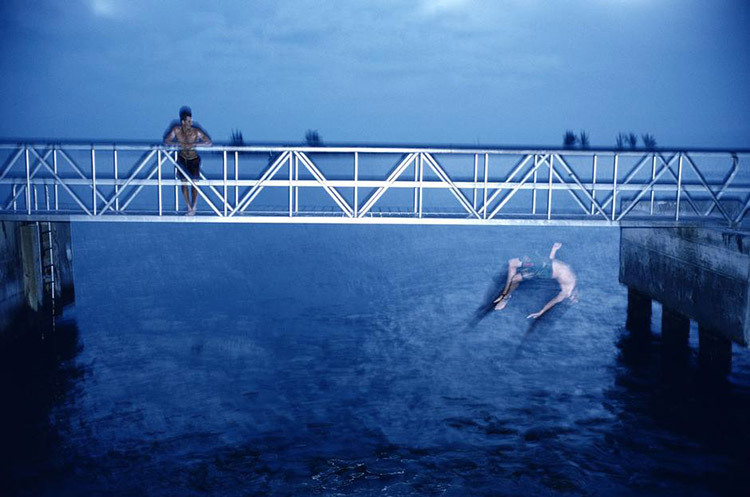 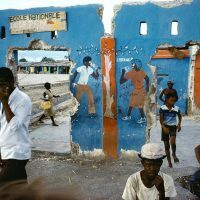 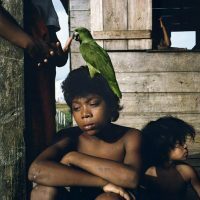 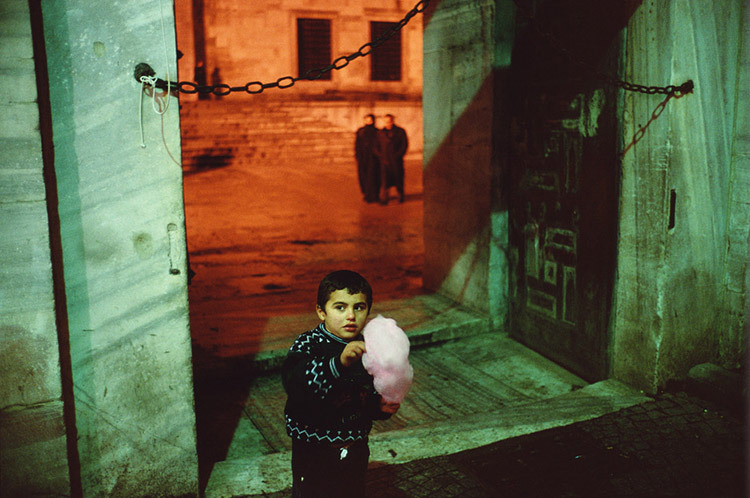 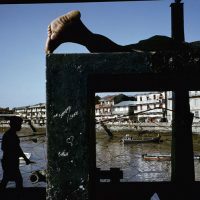 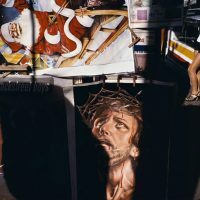 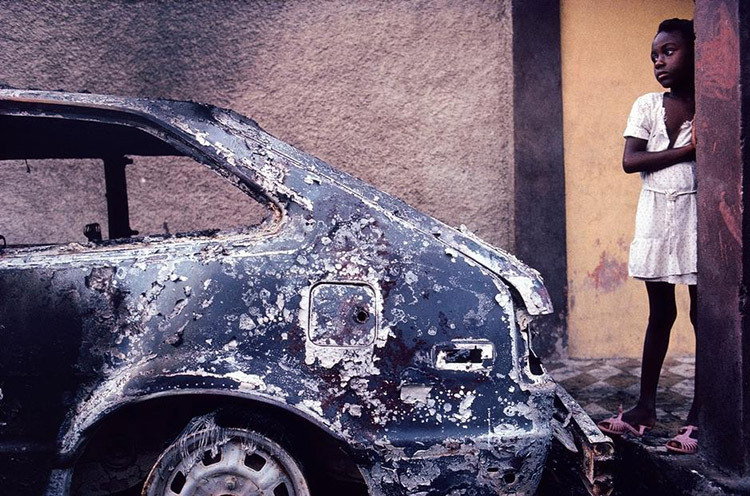 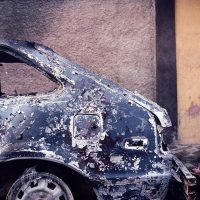 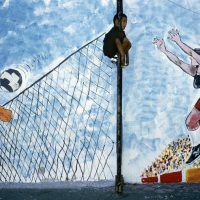 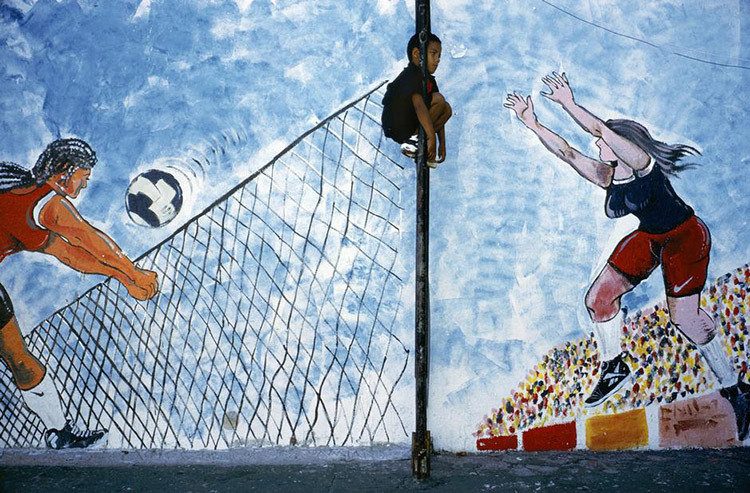 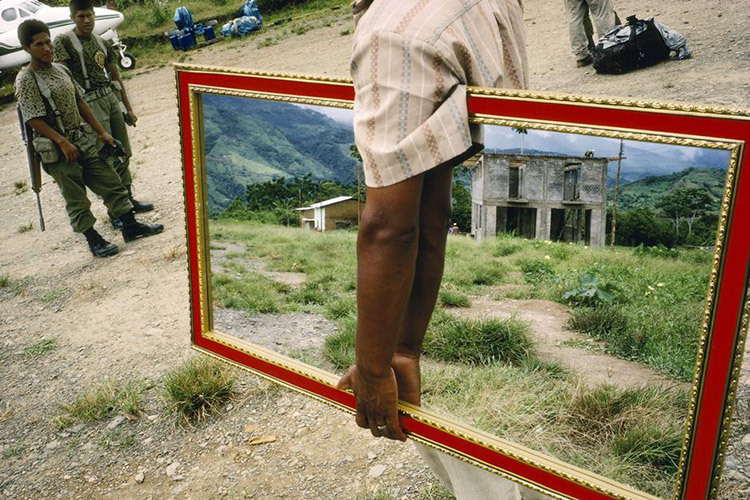 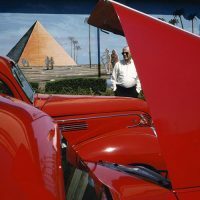 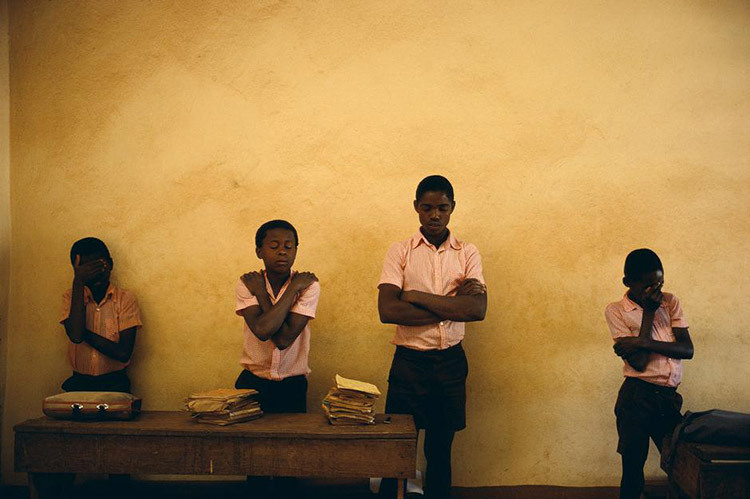 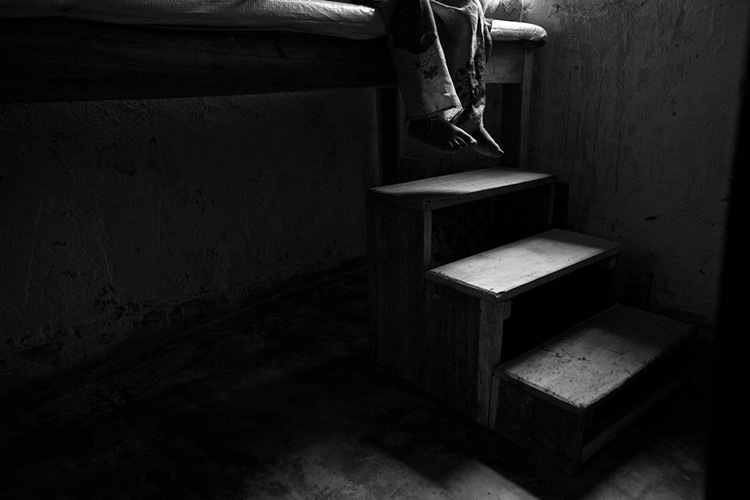 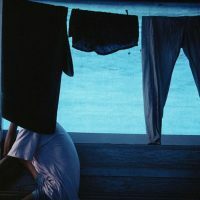 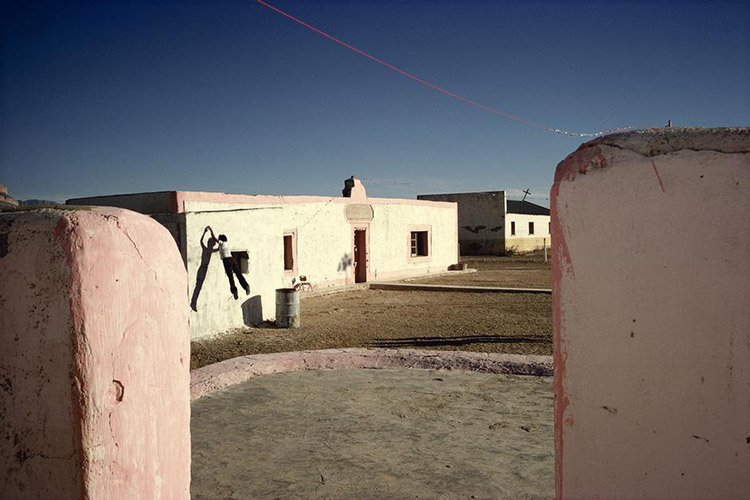 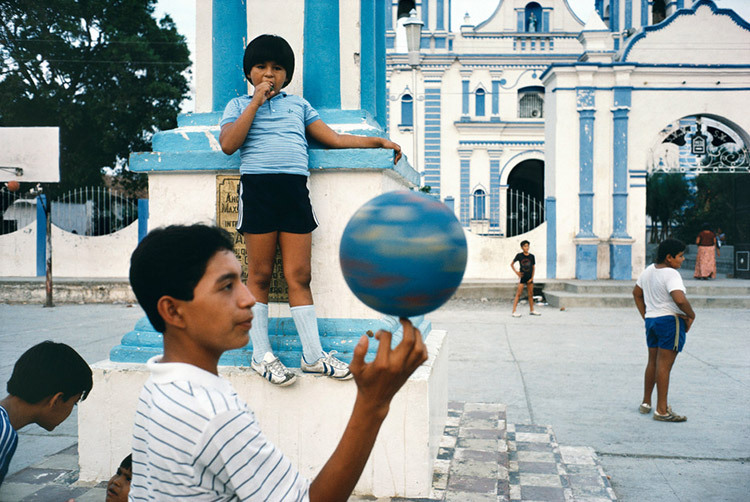 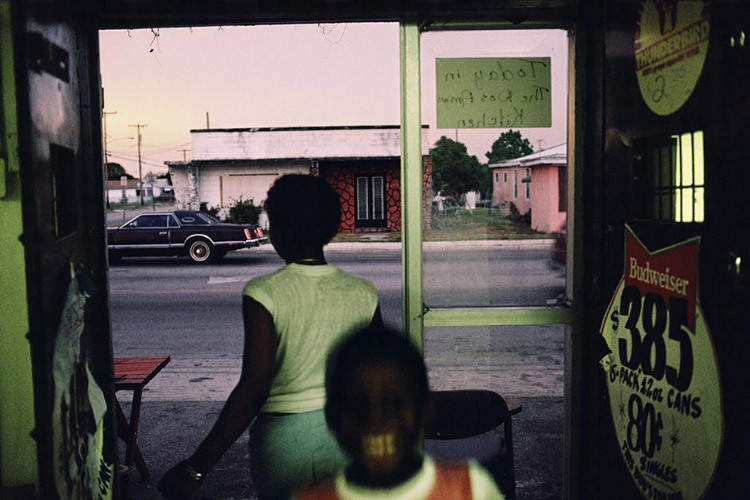 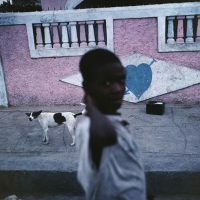 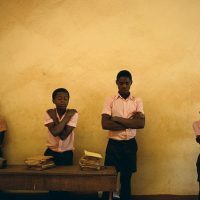 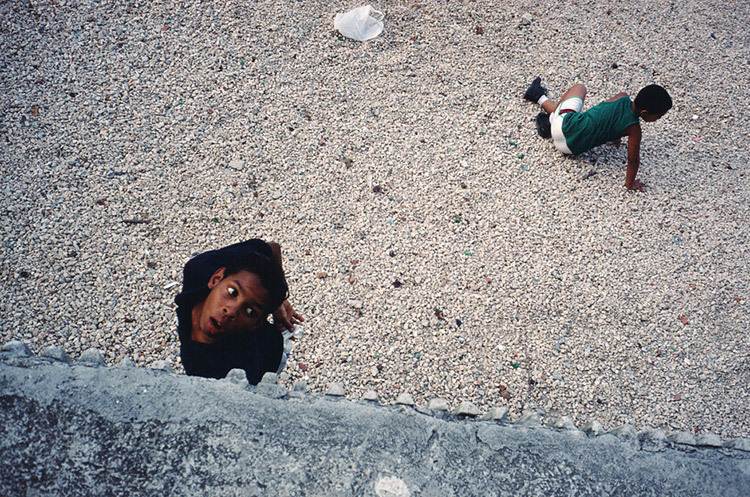 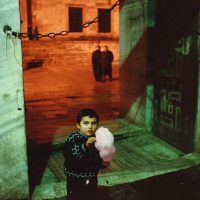 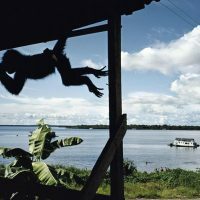 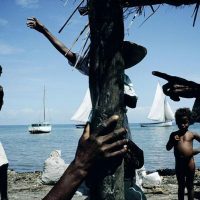 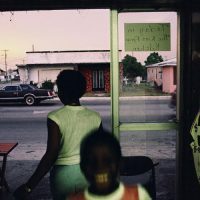 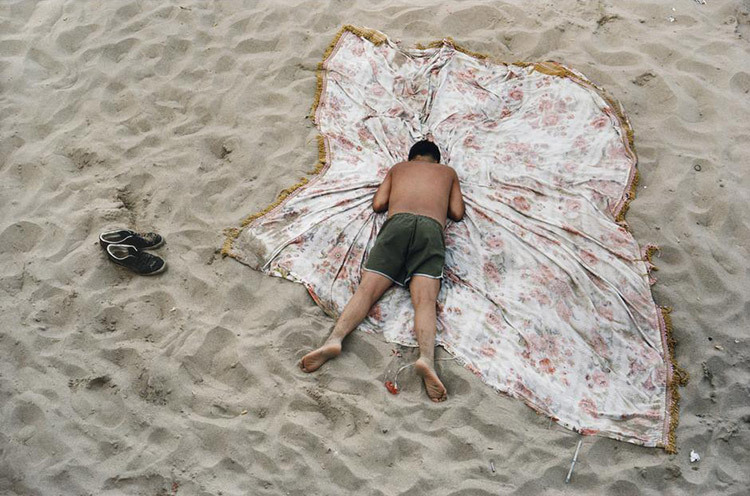 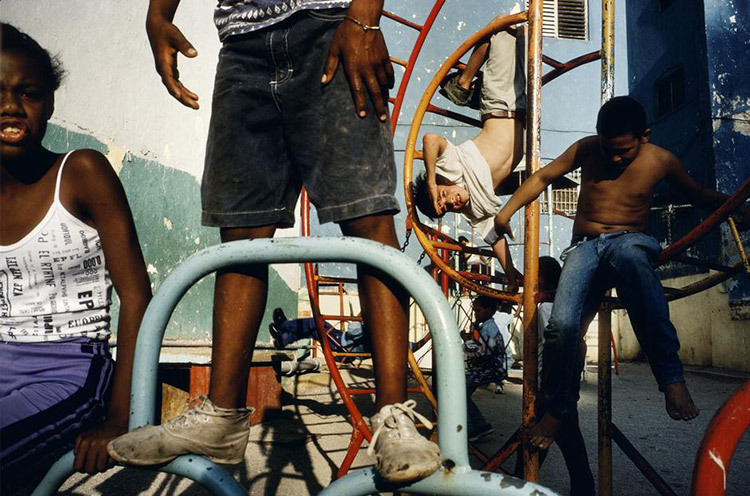 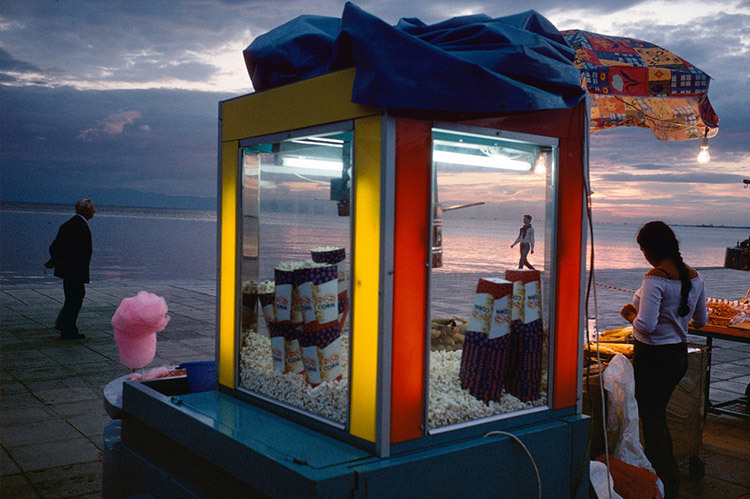 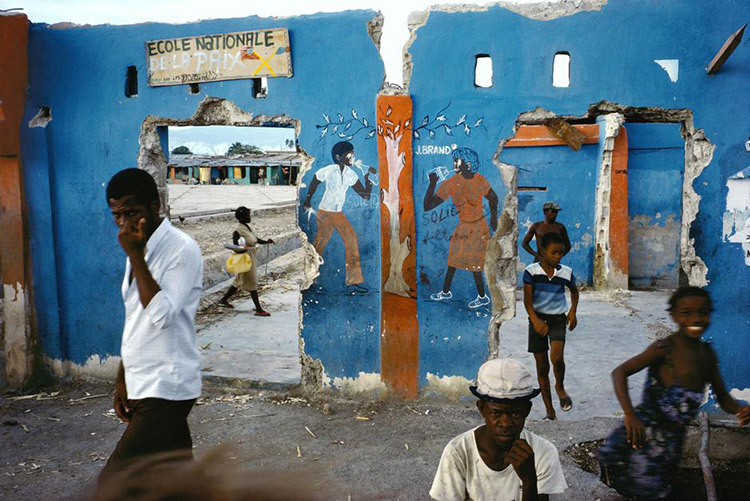 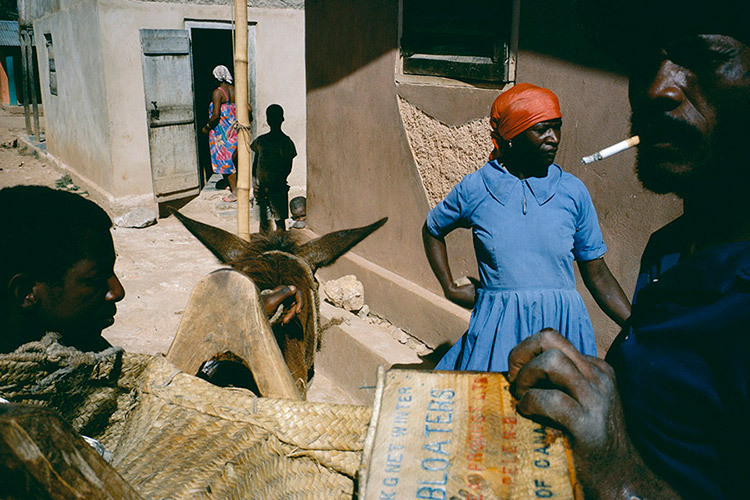 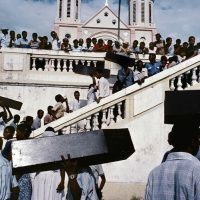 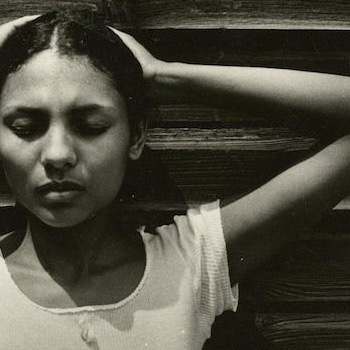 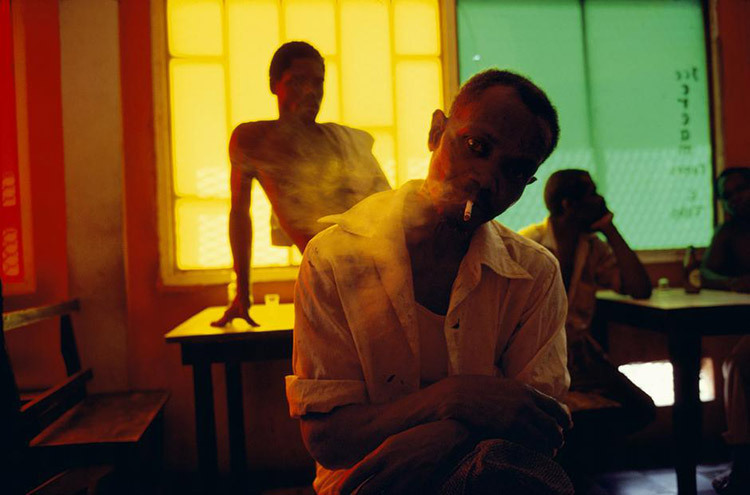 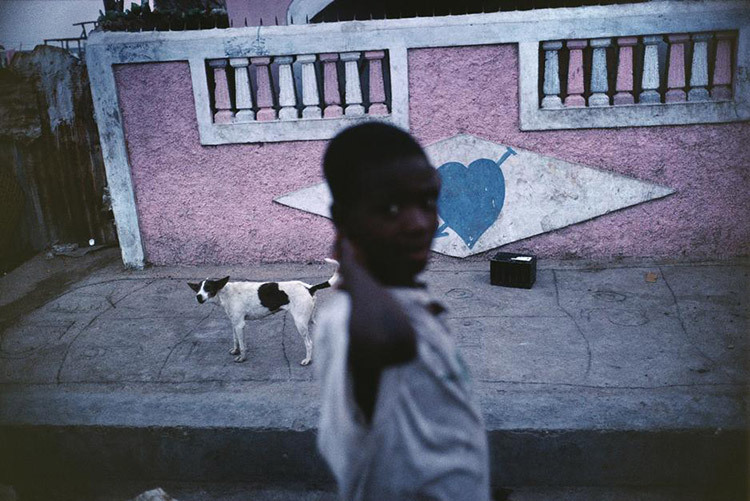 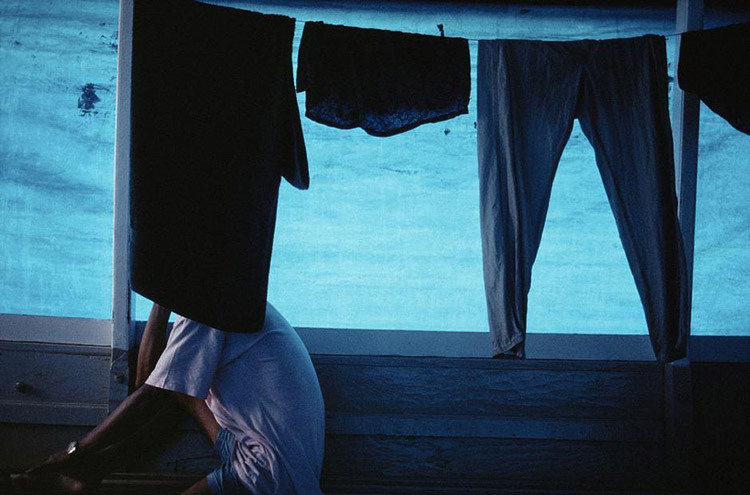 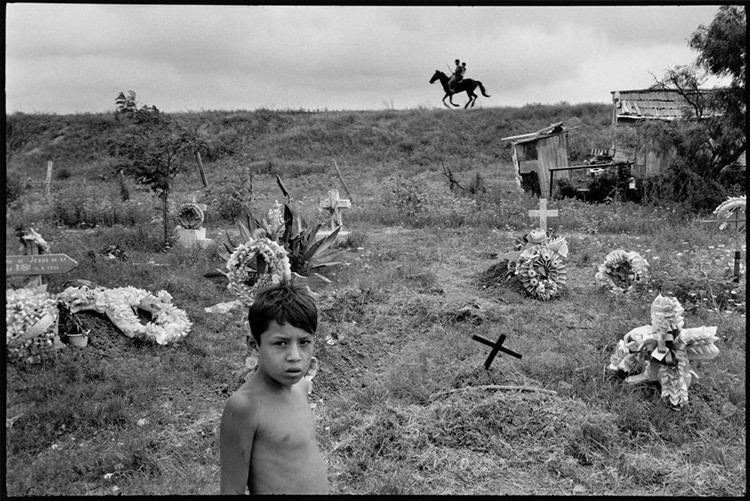 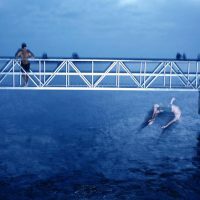 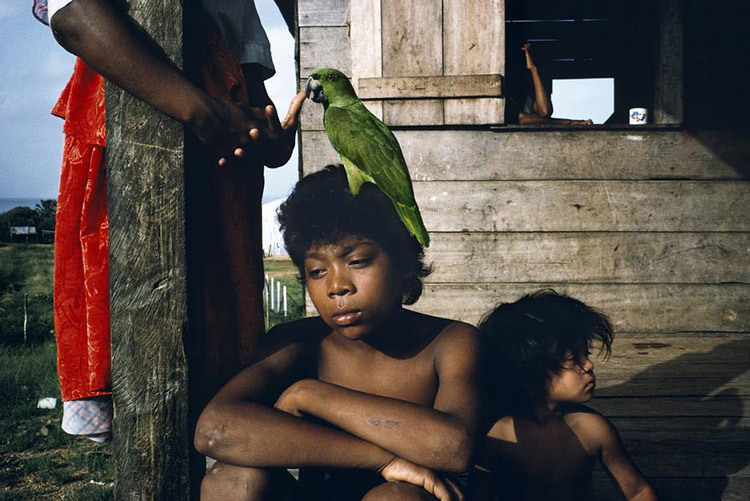 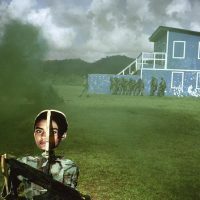 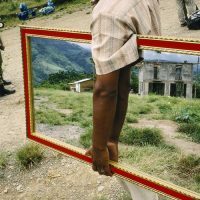 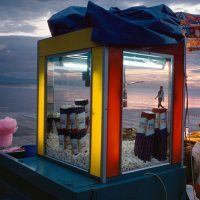 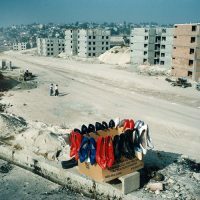 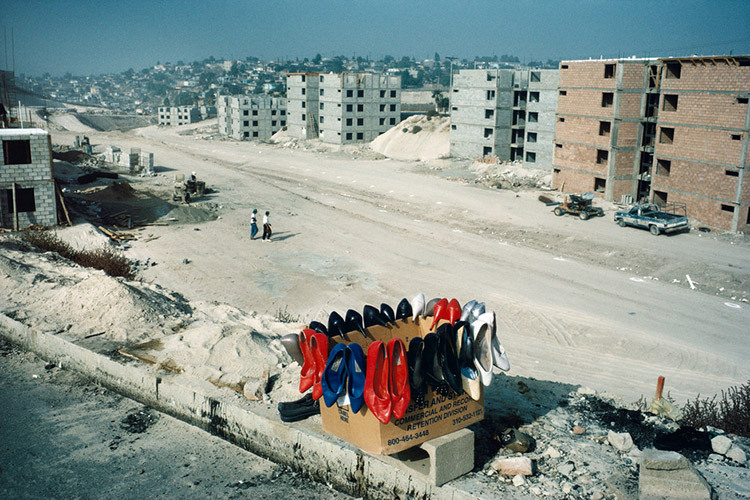 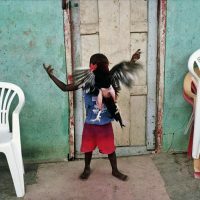 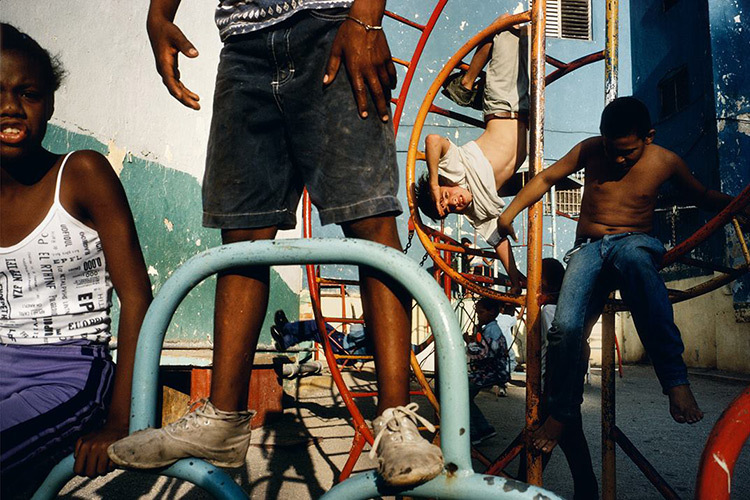 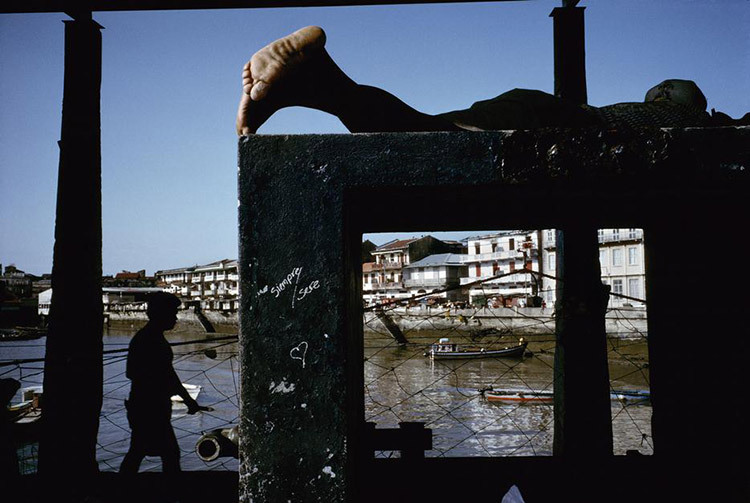 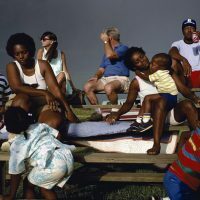 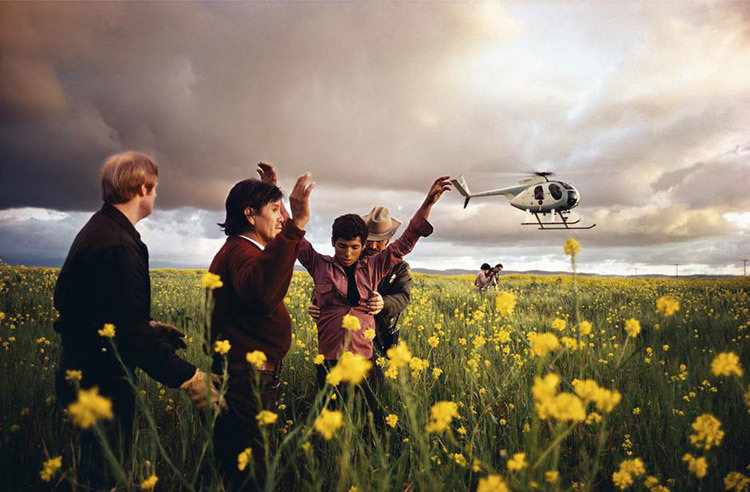 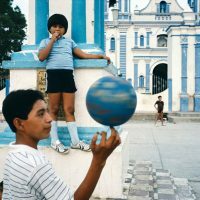 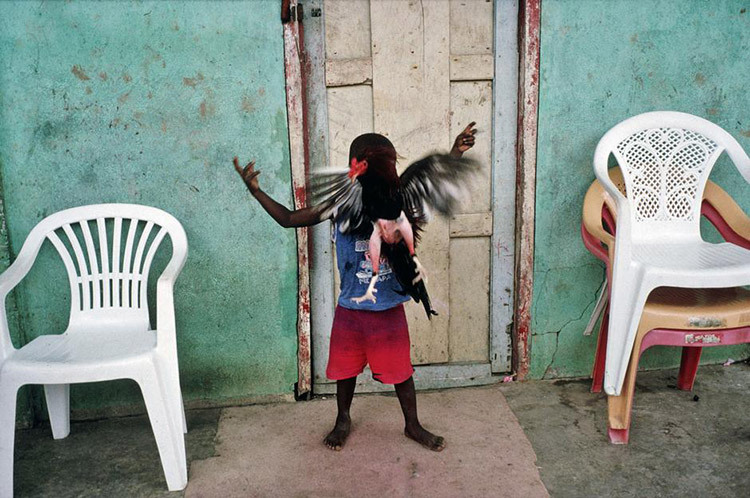 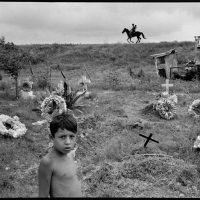 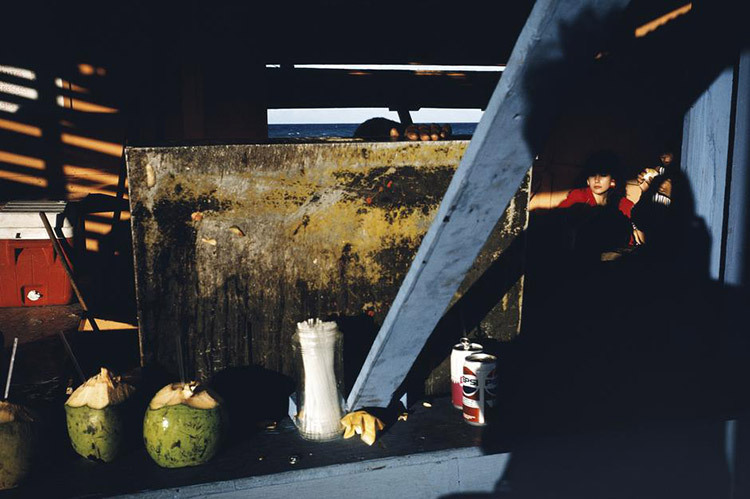 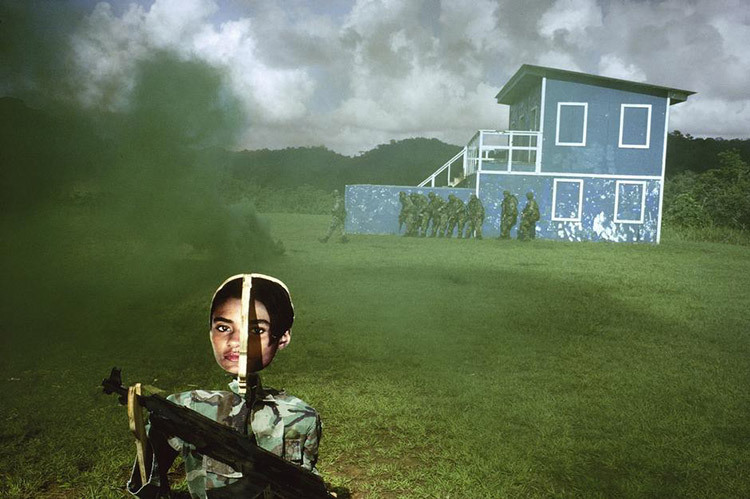 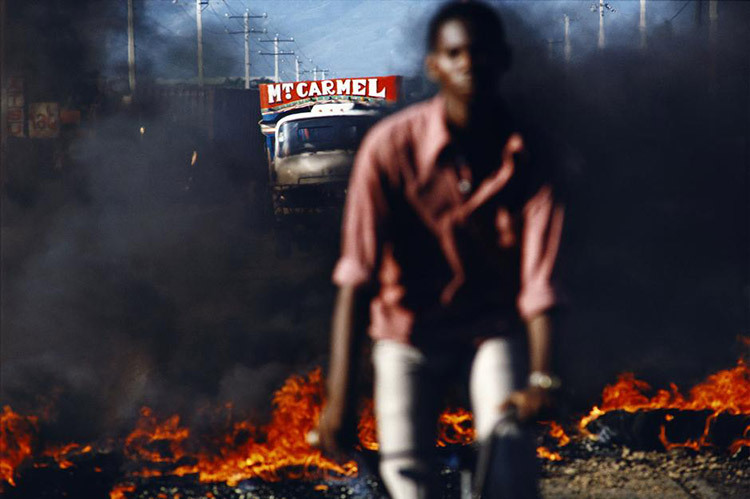 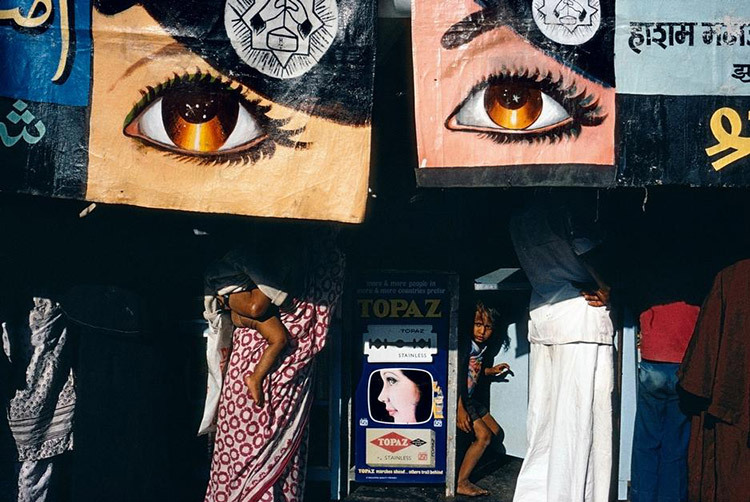 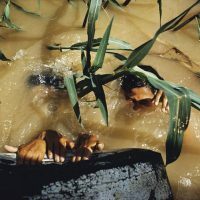 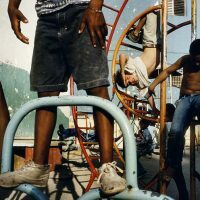 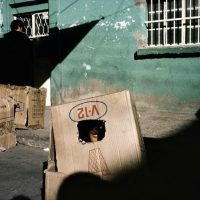 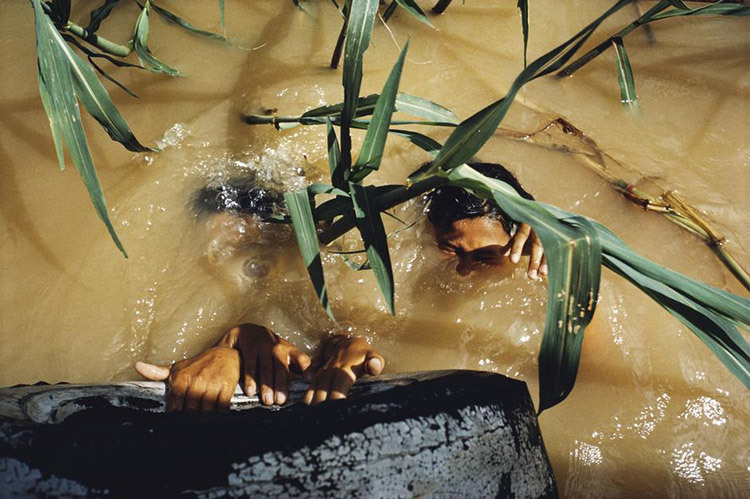 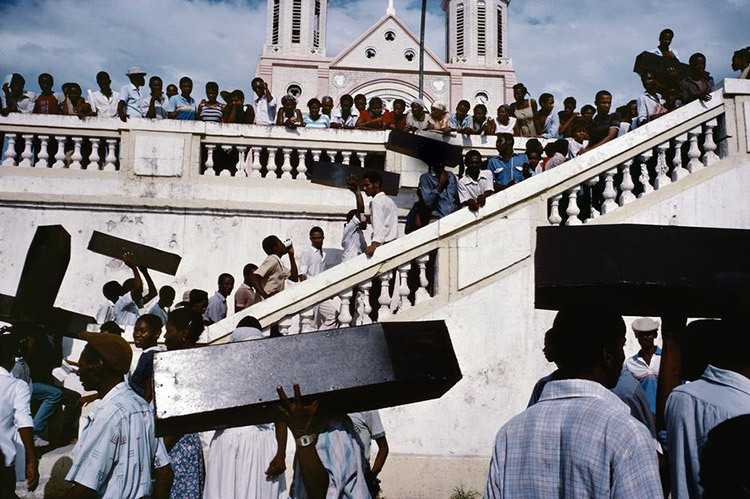 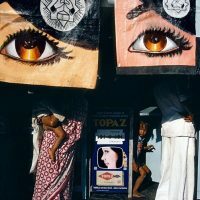 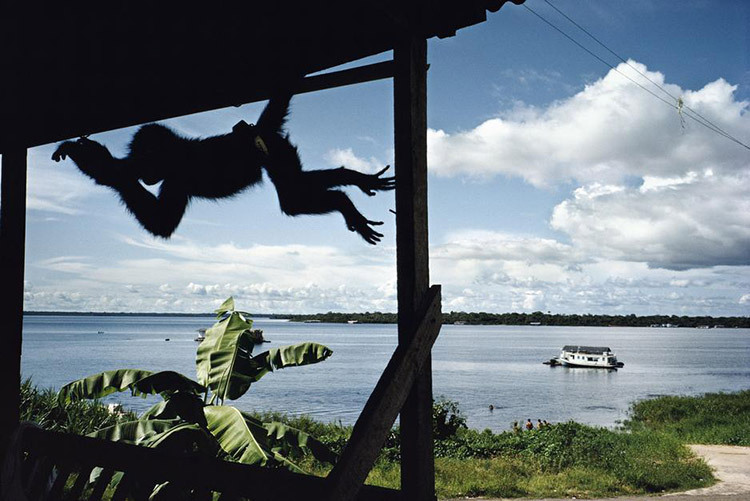 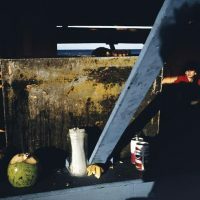 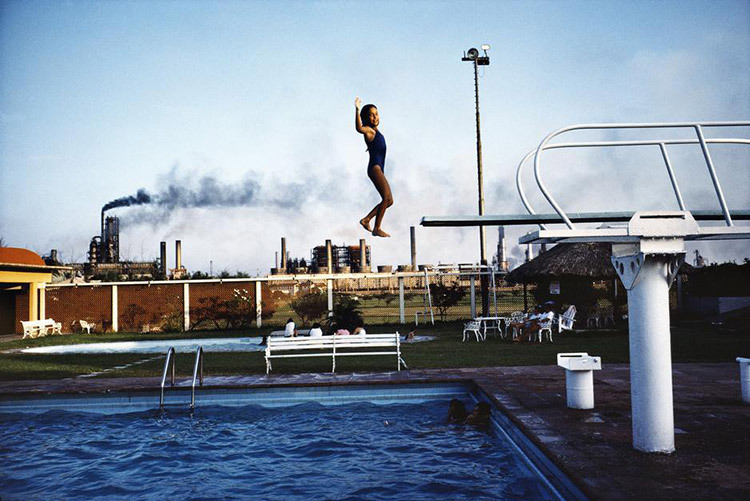 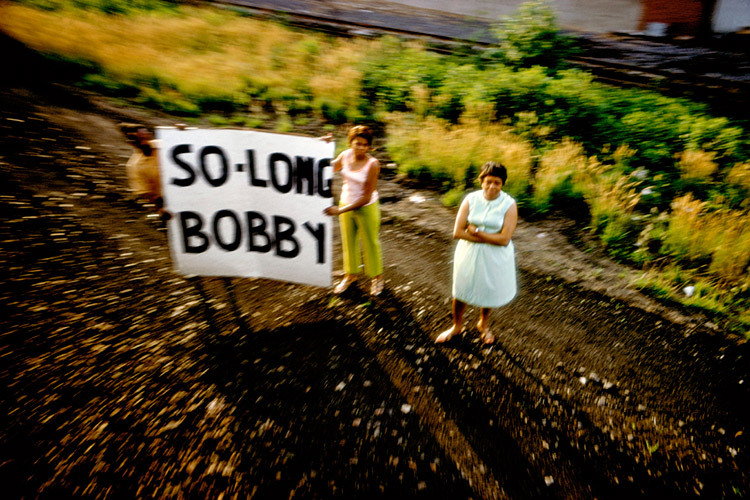 Nevertheless, since his travel to Haiti in 1975 Alex Webb has reviewed his approach. 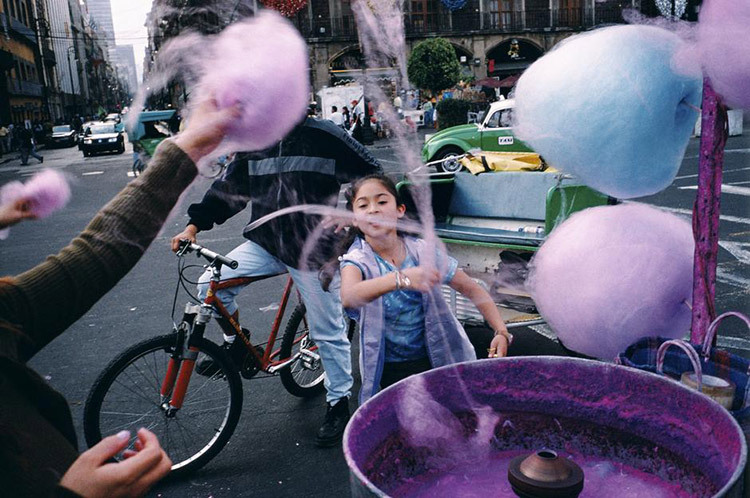 He discovered the harsh and dangerous world bathed in vibrant colors. 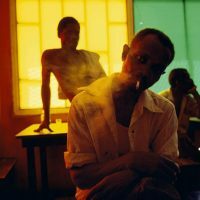 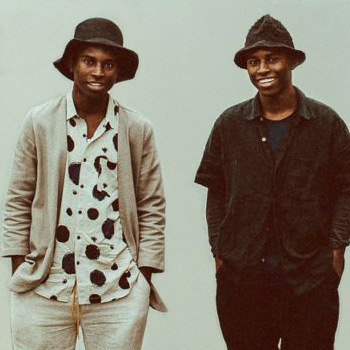 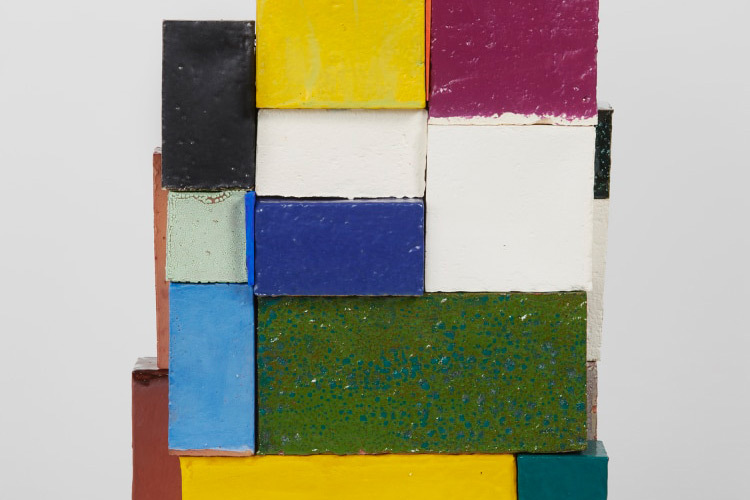 To capture the culture for which color was one of the main ways of expression he decided to abandon the black and white frames. 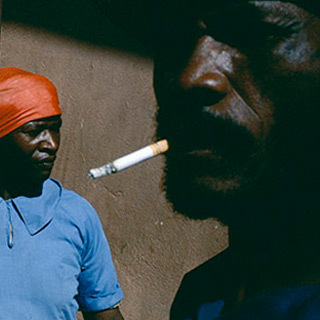 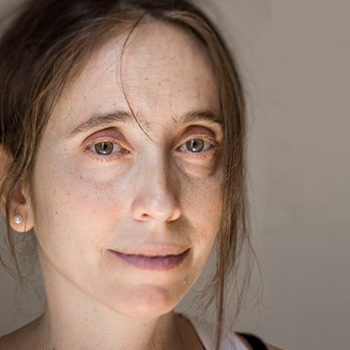 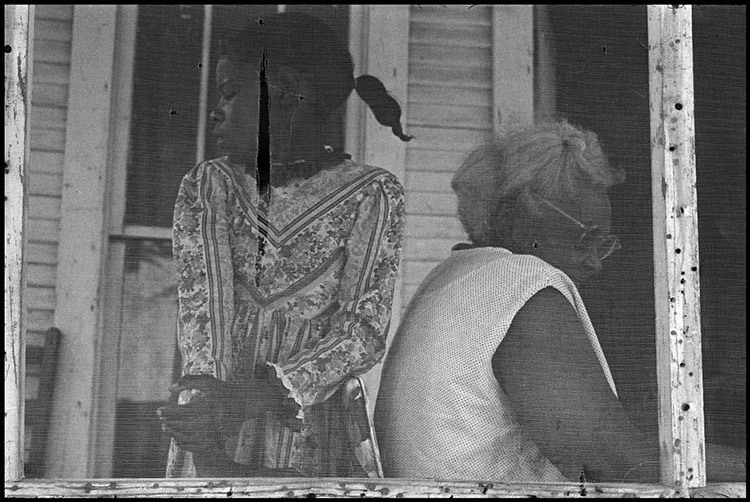 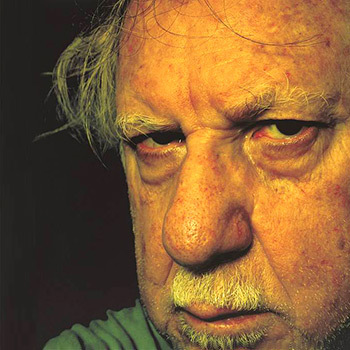 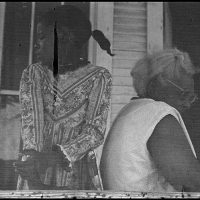 The move was significant for establishing Webb’s unique and notorious style, combining both pictures in color, a documentary perspective and an individual point of view. 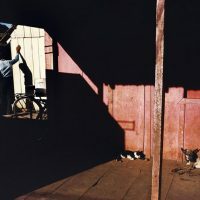 Webb’s images are also special thanks to the geometric precision in the composition, and the play between light spots and shadow, as well as use of several plans that contain substantial content.